The Competition Bureau expands its investigation into Ticketmaster to include its secret scalper program after a joint CBC News/Toronto Star investigation revealed the ticket seller is working with large-scale scalpers to resell millions of dollars worth of tickets. The Competition Bureau has expanded its investigation into Ticketmaster to include its secret scalper program after a joint CBC News/Toronto Star investigation revealed the ticket seller is working with large-scale scalpers to resell millions of dollars worth of tickets. 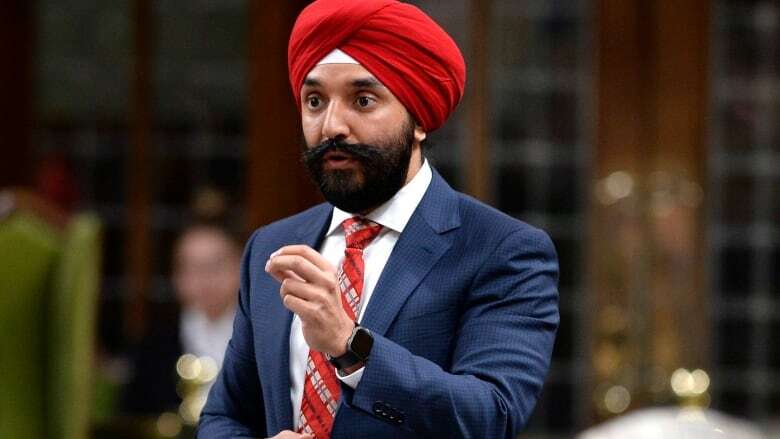 The decision to investigate Ticketmaster — and its parent company Live Nation — came after Economic Development Minister Navdeep Bains reached out to the office. "I did reach out to the Competition Bureau to really express the concerns I've heard from Canadians," Bains said. "They will look into the matter, of course. They are an independent agency, they have the resources and tools to do so." As a government minister Bains cannot compel the bureau into action, but after he relayed his personal concerns to the bureau it decided to proceed with its investigation. "Clearly, from our point of view, we want to see that consumers are treated with fairness and with respect and with transparency," Bains said. A spokesperson for the Competition Bureau said the agency is "looking into the matter, and examining whether this type of conduct could fall within the Competition Act." In an email to CBC News the bureau noted that it is already pursuing litigation against Ticketmaster over allegations of price gouging. "We remain focused on advancing our ongoing litigation against Ticketmaster and its parent company, Live Nation to stop them from making alleged deceptive marketing claims when advertising prices for sports and entertainment tickets. The bureau sued the companies and a hearing on a motion brought by the commissioner for further and better records is scheduled for Oct. 11," the statement said. Also on Wednesday, a class action lawsuit was launched against Ticketmaster by Sotos Class Actions law firm. The suit, which has yet to be certified and tested in court, is seeking $250 million in damages on behalf of people who purchased resold tickets from Ticketmaster Canada Holdings for live events in Canada starting on Sept. 1, 2013. "The media investigation has provided strong evidence of what many ticket buyers have long suspected – the market is rigged in favour of resellers and against consumers," Louis Sokolov, lead counsel for the class action, said in a statement. "If true, Canadian consumers have paid many millions of dollars for inflated ticket prices and additional fees. The aim of this lawsuit is to stop those practices and return the money to Canadian ticket buyers." The latest proposed class action is one of three launched against Ticketmaster over ticket prices that are waiting to be certified — two in Canada and one in the U.S.
Concertgoers around the globe reacted with anger after CBC News and the Star released hidden-camera video from a scalper conference in Las Vegas in July, where Ticketmaster employees were recruiting. Company representatives told the undercover reporters the company relies on "clients" who resell millions of dollars worth of tickets each year through Ticketmaster and that it turns a blind eye to scalpers using hundreds of Ticketmaster accounts to bypass box-office ticket-buying limits. Two U.S. senators are also demanding explanations about the company's secret scalper program. They are Jerry Moran, a Republican from Kansas and chair of the Senate subcommittee on consumer protection, and Richard Blumenthal of Connecticut. The pair have written to Live Nation CEO Michael Rapino giving him until Oct. 5 to explain the company's "professional reseller program." Ticketmaster has declined to answer questions from CBC News as to why it has designed an online sales tool to help resell large inventories of tickets and why it was recruiting scalpers to its "professional reseller program" at the Las Vegas conference. Ticketmaster president Jared Smith, who has declined to be interviewed, published a blog post Monday to "[set] the record straight," which failed to address those questions. "We are aware that many people don't believe we should be working with ticket brokers at all. But as long as there is a massive disconnect between supply and demand in live event tickets, there is going to be a secondary market," he wrote.